Veneers cost a bundle, but the results you get are amazing, and oftentimes can't be had using any other dental method. This article explores the different types of veneers and their costs, some of the factors that affect their prices, and give you some tips to make veneers more affordable. The dental veneers cost can vary dramatically from one dentist to the next. Whether the cost is higher or lower, or even roughly the same, what you pay depends on several factors. The fees your dentist normally charges for cosmetic dentistry. The level of experience and technical skill of your dentist. Although most dentists can perform this procedure, if your dentist has been specially trained in prosthodontics or cosmetic dentistry, you’ll likely see premium pricing. 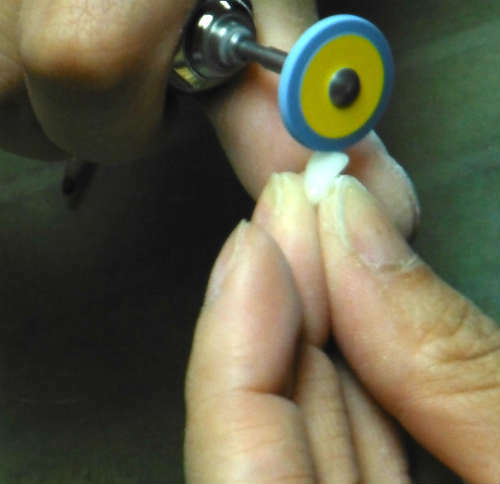 The level of experience and skill of the ceramist or lab fabricating your veneers. Using a highly skilled and aesthetic ceramist/lab will also carry a higher value. The location where your treatment is performed. If you live in a large metropolitan area versus a smaller town, costs will tend to be higher. The type of dental insurance you have. Most dental insurance won’t cover cosmetic dentistry. But there are exceptions we’ll discuss below. The type of material used. You’ll pay more for porcelain veneers or Lumineers versus composite resin veneers. The number of veneers being applied. Ask your dentist for some kind of discount if you have several veneers put on at once. Your dental health. If you have good oral health, your cost will be lower than someone who has significant tooth decay, gum disease, or other dental problems that need to be treated before placing the veneers. Composite veneers (made from an acrylic-type material) tends to cost a bit less. You can expect to pay, on average, $250 to $300 per tooth and, in some cases, as much as $1,500 per tooth. But on average they tend to have a shorter useful lifespan (5 to 7 years according to some reports) and don't often hold up as well against the abusive environment inside the mouth (tend to stain over time). Porcelain veneers normally have a higher value than composite ones. On average, expect to pay anywhere from $900 to $2500 per tooth (the typical range is closer to the $1,000 area, 2,500 is on the far high end). Porcelain gives better overall results and lasts a long time due to its toughness (compared to composite veneers). Reports state that they can last an average of 10 to 15 years, but even longer if you stay away from foods or habits that can chip them (e.g. chewing on ice). Porcelain, (similar to glass or ceramic tile) doesn't stain from foods, tobacco, or colored drinks. Lumineeers is simply a brand name for pre-fabricated veneers that are bonded to the teeth and normally shaped at the dentist's office. A number of companies produce these kinds of minimal/no prep veneers. These veneers cost roughly the same as the porcelain veneers mentioned above. Most dental insurance does not cover the cost of cosmetic procedures. That’s because it’s not considered necessary for your dental health. However, it’s still a good idea to talk to your dentist, insurer, or employer’s benefits department to find out exactly what’s covered because there could be exceptions. If you suffered chipped or cracked teeth as a result of an accident, some insurance companies may cover the cost of repairing your teeth with porcelain veneers. If you need to replace or repair your veneers, some policies will cover their replacement. Just make sure you when you’re filing your claim that you specify they are replacement veneers. The alternative to insurance are dental plans. These are not insurance. Rather, they work like a discount membership. The plan has a network of dentists, you buy a membership, and the dentists in the network offer you discount pricing. Dental plans often claim members can save 15% to 60%. Since you're likely to pay out of pocket for veneers you should negotiate the price with your doctor and shop around. Don't always pick the lowest price because experience and skill make all the difference in cosmetic dental work. Your dentist may offer financing or financing through a third-party such as CareCredit. This allows you to pay for your new smile on a monthly basis, but with interest. And ask about a layaway plan. This is the opposite of financing. You prepay until you're paid up and then get your new veneers. This can save you a bundle in finance charges and the dentist may offer an added discount since she's getting paid cash upfront. When Does Dental Insurance Cover Cosmetic Work? How Are Dental Discount Plans Different from Insurance? Where Do I Find Dental Plans and Dental Insurance Policies?